One of the fun parts of this job is the reactions that kids give when they see you walking around in uniform or sitting in the police car. Whenever I see a child waving at me, I make sure to wave back. The smile on their face and the wave back is always worth it. On September 11, I was sitting in my car in a parking lot when a family walked by. The mother and father told their 5 year old son to wave at me, which he did. I said hi back at the same time I put my emergency lights on for him. He was surprised to see the lights come on and had the “wow” look on his face. 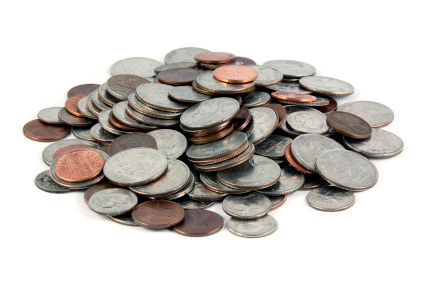 With a surprised look he shoved the penny into his shorts pocket as fast as he could. He then sat down in the driver seat with a satisfied look on his face as I closed the door for him. His eyes got huge and then looked back at the coins because he had just hit the lottery. His huge jackpot eyes then looked back at me to be sure. Everyone knows what happened on September 11, 2001, but does anyone remember the candle light vigil that was planned a few days later? Back in September of 2001, I was on my way to work when I heard on the radio about a national candle light vigil that was planned at dusk. I didn’t think anything of it because I was working. During that time, a new officer named Steve came to the traffic detail from patrol. He was going to ride with me for three weeks before going on his own as an accident investigator. When we loaded up the patrol car that night I had no idea what Steve had planned for me. I thought it was going to be a regular night, but it turned out to be something much more. I wasn’t sure about his idea. I couldn’t see myself standing on the side of the road while holding a candle. Steve seemed pretty passionate about it so I figured I would just roll with it. As dusk approached it was time for the candle light vigil. We stopped on a small street and Steve pulled out two huge candles. The candles were so big I figured Steve was planning on staying for a while. We lit them and stood there on the sidewalk next to our patrol car. I felt a little self-conscious just standing there by ourselves. I wasn’t sure how long we were going to stay, but Steve was in this for the long haul. There was plenty of wax on those candles so we weren’t leaving any time soon. As cars passed, I wondered what they were thinking. I wondered if they had ever seen two officers standing on the side of the road with large candles in their hands. The answer was probably not. It’s a sentence I’ve never forgotten. Out of the tens of thousands of people I’ve met on this job, she’s one of the people I’ll never forget. Now we were five. We lit their candles and stood with them. We couldn’t communicate with her mother because she only spoke Spanish, so we stood there and just smiled at each other. Then it happened again and again. More people came up and stood with us. They all had candles in their hands. Our group that started out as two had now grown to fifteen. I never expected this. Who would’ve thought this was possible? And it continued to happen as more people came out and stood with us. They all had candles in their hands also. Before we knew it, our group had grown to 30 people. I was amazed that these people wanted to stand with us. We had never met, but it didn’t matter. We weren’t cops and citizens at that moment. We were just people who were touched by what happened on 9/11. Over half of the group didn’t speak English, but that didn’t matter to them or us. Our hearts and minds spoke RED, WHITE and BLUE, which was the only language that mattered at that moment. The United States of America was attacked and they were there to stand with us and show their support. The destruction and death was at such a large scale, they felt compelled to come out. After a while the candles started to go out and it was time to leave. The moment was over as quickly as it took to blow out a flame. The group broke apart and everyone walked back to their homes, never to be seen again. I often wonder if any of those people look at that spot and remember how great of a moment it really was for us to come together like that. There are a lot of street corners in the city that have stories that I’ve been part of. Each corner has a unique story, but this patch of sidewalk has a story that will never be seen again. It was on moment in time that will stay with Steve and I forever. After we left, there were people all over the streets waving American flags and cheering at the police car as we went by. It was one of those nights where it was great to be out there to witness so many people united as Americans. It was a once in a life time moment and I’m glad I was part of it. 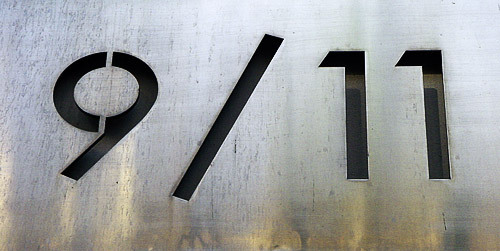 Where were you on September 11, 2001 and what do you do to remember that day? What were you doing on September 11, 2001 when you first heard about the attacks? “John, two planes hit the World Trade Center,” said Robert. I was half asleep and I wondered why he was calling about a plane crash. Robert was my first roommate from college. We had always kept in touch, but a call from him at this time of the day was unusual. That got my eyes to open up this time. How could two planes crash into each other and hit the buildings? This must’ve been some type of horrible accident. Robert’s voice told me something was wrong and I should turn on the TV. I turned the TV on and the grogginess left my body as I took in the images of the Twin Towers collapsing into a pile of twisted metal as it was replayed over and over. Then there was the video of the crowd running away from the large cloud of dust that soon surrounded and choked them. There was no way I was going back to sleep after seeing that. It was a day no one would forget. Fast forward 14 years later. This Friday, my daughter’s elementary school will celebrate Patriot Day with an assembly. The assembly is an annual event at the school where parents are invited to come. Additionally, parents, who are firefighters, police officers, or in the military are invited to attend in uniform to participate also. Every year the principal introduces the people in uniform at the start of the assembly. One by one, we stand up and wave at the crowd. After the introductions, the principal gives a speech to the children about what 9-11 means and why it’s important to remember that day. Every year her words are powerful and passionate as she talks about those who lost their lives on that day. She also tells the children about what people in uniform do to protect them and the sacrifices they make. Afterward, children from the different grade levels come up and give short speeches about Patriot Day and what it means. This is followed by each grade performing a patriotic song for the school. This will be my last Patriot Day assembly because my daughter is in sixth grade. It’s weird to know this will be the final time I wear my uniform at her school. Patriot Day was always something my kids looked forward to because the school made it a big deal. 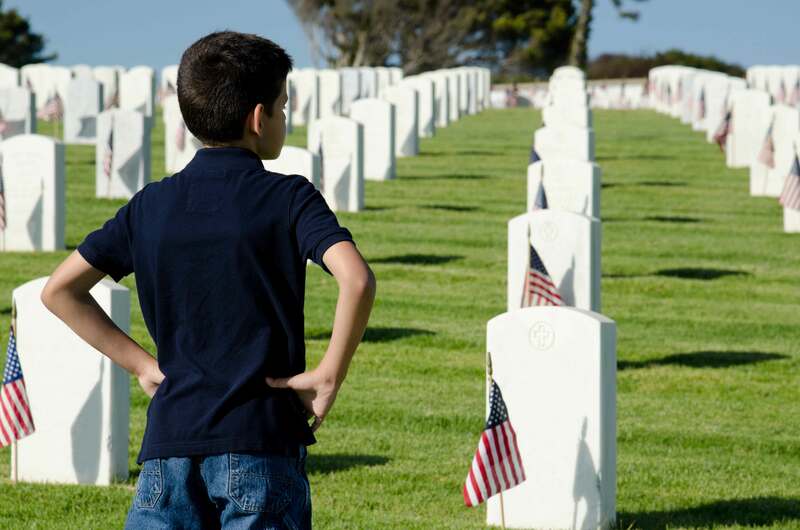 This Friday I’ll be there for the final time, along with other parents in uniform as our elementary school pays tribute to the fallen from that day. None of the children at the school were born at the time, but our principal will make sure they never forget. Take a moment on Friday and remember those who died on that September morning in 2001. It was a day when things changed forever and when the fight was brought to us. Back in late 1995 or early 1996, I was dispatched to another 911 call at a small apartment complex I had never been to before. It seemed like it was going to be the typical hang up call where someone was either playing with the phone or dialed 911 by accident. 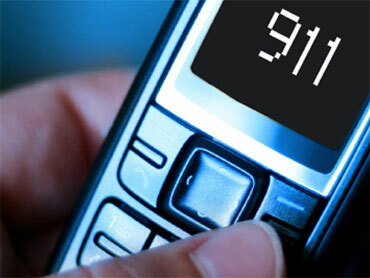 Whenever a 911 call is received, dispatch will call the number back to see what the problem was. If there’s no answer then officers will have to be sent out. On this particular day there was no answer on recall. I figured I would be done with this call in one minute tops. A Caucasian male in his twenties opened the door just a crack. Not like most people do when they open the door wide open. This was just enough to see his face and nothing else inside the apartment from where I was standing. I told him the reason we were there and that we needed to go in and make sure there was no one injured inside. The man seemed a little hesitant at first, but he backed away from the door as he opened it for us. I noticed he was wearing boxer shorts and he was holding a pair of jeans in his hand. Maybe he was just being shy when he had opened the door. Since we still didn’t know what we had on this call yet, I told the man to give me his pants because I wanted to check them for weapons. I then found a large knife in a sheath that was attached to the belt. I didn’t give him his pants back and had him sit down. From where I was standing, I scanned the apartment interior. It was the typical small apartment I was used to going into. A small kitchen was to my left with very old and stained counter tiles and dirty grout. A couch, chair and coffee table were in the front room where we were standing. This room was a little messy, but I had seen worse. There was a hallway between the front room and the kitchen, which lead to the bedroom. The room was dark and the window blinds were closed. I looked down at the coffee table and saw two scales in plain view. They were three beam scales, which is not something you see every day unless you’re watching Miami Vice or in the police evidence room. I then saw small plastic zip lock bags on the table next to the scales. These particular bags were smaller than sandwich bags and are used to package methamphetamine to sell. I looked even closer and there were small bits of marijuana crumbs all over the table next to the scales. Of course, the one gallon zip lock bag full of marijuana sitting there on the table didn’t look out of place. This call was a done deal for me and it was time to handcuff him to go to jail. I told him to stand up and turn around, which he did. I noticed that one hand was open, but the other was balled into a fist. I told him to put his hands together, but he wouldn’t. After a few seconds he revealed a large rock of meth that he had been holding. Who opens the door for the police while holding a rock of meth in their hand? There was no one else in the apartment and I learned that he had just had an argument with his girlfriend today and she had left right before we arrived. I’m pretty sure she had the last laugh on that one! Never upset your girlfriend when you’re a drug dealer.